All gimbals are not created equal. You’ll see a range of prices and a range of features. You’ll also see a range of performance, from mediocre to professional-quality. If you’re looking a handheld gimbal in the latter category, the Ikan DS2 is very much worth considering. 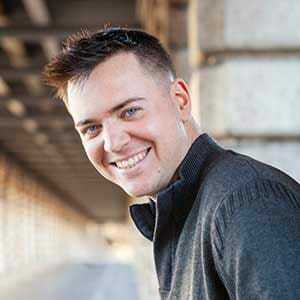 Ikan is a Texas-based firm that specializes in tech. Their camera support and stabilization systems are some of their best products and they seem to keep getting better. Check out what the Ikan DS2 & DS2-A gimbals have to offer. Stabilization – How Good Is It? For those smooth, gliding shots, you’ll be impressed with the DS2’s stabilization capability. This gimbal was designed for professional filmmakers and it lives up to that high bar. It responds very quickly to your motion and it does so with graceful smoothness. The smooth quality you get is because of the advanced 32-bit controller and 12-bit encoder system, check out the video below from martin fobes, using the DS2 gimbal. An adaptive PID algorithm ensures that the stabilizing action is efficient and doesn’t eat up a ton of battery life. In order to ensure that smooth stabilization, it’s important to balance your camera on the gimbal. Luckily, this is pretty painless with the DS2. You just move the camera’s mounting plate side-to-side to achieve balance. You can expect it to take just a few minutes. This gimbal offers 360° rotation along the yaw access, thanks to a high-quality brushless motor. It’s unique in having an angled motor arm. This helps you have a better view of the camera’s screen no matter how you’re moving. You’ll be able to follow the action and frame your shots the way you want. On a lot of other gimbals, the roll-axis motor can get in the way of framing your shots so this is a very welcome feature. The DS2 has several modes that you’ll get a lot of use out of. One of the more unique modes is the 60-second Auto-Sweep mode, which allows you to program a 60-second camera movement to run automatically. This can result in some really cool footage. You can choose from three follow modes. With the Pan Follow mode, the DS2 will follow the pan axis and hold the tilt position. In the Follow mode, the DS2 will follow both the tilt and pan directions. With the 3-Axis Follow mode, you have full control and you can pan, tilt, and roll to your heart’s content. There is also a Point & Lock mode where you can manually lock the camera into a fixed position. No matter how you and the gimbal’s handle move, the camera will stay locked in one exact position. You can quickly put it into this lock mode from any of the other modes and it will stay locked until you reset it. A really cool feature that you can access from any mode is the Auto Inversion feature. This lets you quickly and easily switch to an inverted position, where the camera hangs below the handle. Speaking of the handle, the DS2 gives you the option of either single or double handle. It’s easy to switch between them and this gives you flexibility for different shooting styles and shooting conditions. When the batteries are fully charged, you can expect the gimbal to last for around 10 hours. You can capture a lot of great footage in that amount of time. There is an OLED Status Display screen on the handle that lets you keep an eye on remaining battery life. The Lithium battery takes 3-4 hours to charge. This gimbal is compatible with a wide array of cameras. This includes DSLRs like the Nikon D7500, the Sony a77 II, and the Canon t7i. It’s also great for mirrorless cameras like the Sony a9, Sony A7, the Panasonic GX8, the Fujifilm X-T20, the Olympus OM-D, and the Canon M6. Ultimately, this gimbal will work with virtually any camera as long as it is under 4 lbs. That max 4-lb payload does include the weight of the camera and any accessories, so it’s important to consider the weight of your lens and any additional tools you’re using like a microphone. It has no minimum payload so it’s a great choice for really light cameras. A lot of the mirrorless cameras are pretty lightweight and you’ll find that a lot of gimbals really struggle with motor vibrations when using a lightweight camera. You won’t see that with the DS2. It seems to handle really lightweight cameras and heavy cameras equally well which is really nice. The DS2 is accessory-ready. There are two 1/4″-20 mounts on the handle so you can attach a nice microphone or a monitor or a light. Just remember that the weight of your accessories need to be included when calculating payload. There is also a 3/8″-16 thread located on the bottom of the gimbal so you can attach it to a monopod, tripod, jib, or dual handle support system. Ikan has announced that this gimbal will have a companion smartphone app released soon. As of right now, they’re planning an iOS app first meaning Android users will have to wait. This app will let you adjust settings and control the gimbal via Bluetooth from your phone which will be nice. It will also reportedly let you use your phone as a gravity controller, a feature that sounds really exciting. That said, the app isn’t here yet so it’s hard to say how well it will actually work. Because this gimbal is a pretty significant investment, it doesn’t yet have quite as many reviews as other gimbals. The feedback there is as of this writing, though, is quite positive (click here to read customer reviews on Amazon). Some of the things people enjoy about this gimbal are the smoothness, the battery life, and the inclusion of the angled arm so you can see what you’re doing. In a review of the Ikan DS2 on YouTube, Philip Chung explains that it can give your footage a “cinematic quality” and that it will help you “kick up your filming game.” He says that the angled arm is really helpful. He points out that the joystick controls will probably be most comfortable for people with larger hands. He also suggests that it might be a bit heavy and thus tiring when shooting for a long period of time. Finally, Chung says the DS2 is a good value because it gives you professional-quality results without having to spend what a big film studio would have to pay. click here to read customer reviews on Amazon along with his brother, who doesn’t have any filming experience. He explained and demonstrated that you can get really high-quality results even if you don’t know much about film-making or if you’ve never used a gimbal before. Overall, the feedback for this gimbal is very strong. But there are a few potential complaints to think about, namely that it might not be ideal for smaller hands and that the weight might be tiring. This might mean that it’s not necessarily the ideal gimbal for women or anyone with smaller hands. Another thing to point out is that Ikan has a reputation for offering excellent customer service. Their customer service philosophy is “to always put the customers first and take care of them – no matter the situation” and they do seem to live by that pretty well. There is no question that this gimbal is an investment. You can buy gimbals for much lower prices but you really aren’t going to get the same professional-level quality that you’ll get with the DS2. This gimbal is easy to use, performs consistently, and has some special features that make it stand out. The battery life is good and the all-aluminum construction is very durable. It comes in a nice case and it’s easy to cart around. The bottom line is that the Ikan DS2 offers a lot of value. It’s a professional-level tool that can help even amateurs create Hollywood-worthy footage that has silky smooth movements. The only group that this gimbal might not be ideal for would be people with small hands, just for the risk of discomfort and fatigue. That said, using the gimbal in the dual-handle position would eliminate this as a problem, so it could really work for anyone. If you want a gimbal for any kind of professional capacity, this is a great choice. It’s great for making YouTube videos or making full-length feature films. A film student would be well-served with the DS2. If you just want to make your home videos look a bit nicer, this will do the job, but you don’t necessarily need to make this big of an investment. A more affordable gimbal will probably meet your needs. Then again, if you want the best of the best, this gimbal is definitely worth considering. 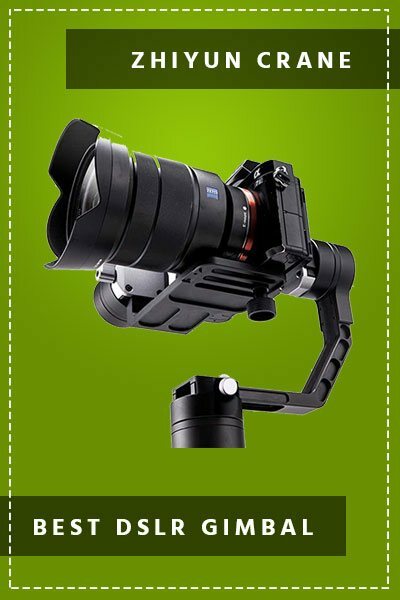 All in all, the Ikan DS2 gimbal for DSLR and mirrorless cameras is a high-quality and easy to use tool that offers superior video stabilization. The angled arm alone makes it a game changer.